The introduction of a service number in the "technical literature" is intended to facilitate standardization and positive identification to allow direct cross-referencing among the various documents This is of particular importance with regard to the use of electronic media. The Repair Manual of the 911 Carrera (993) also includes the 911 Carrera 4 manual (993 four-wheel drive). 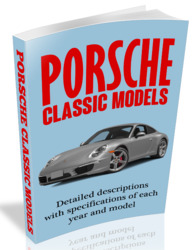 The 911 Carrera (993) is the basic model covered by the repair operations described in this Manual. "911 Carrera (993)" is also indicated in the header of each page. Descriptions of repair operations that deviate for the 911 Carrera 4 will be included after the respective 911 Carrera section. 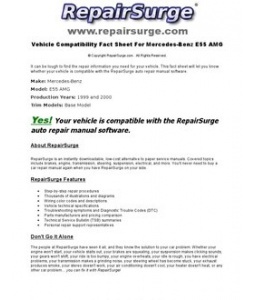 The repair descriptions of both models are separated by a cover page. All pages included after the cover page (separation sheet) have the "911 Carrera 4" heading. To facilitate distinction, the page numbering will start with 100. Where different or additional repair procedures apply to the 911 Targa (993), these are given following the repair instructions for the 911 Carrera or 911 Carrera 4. The repair instructions for the 911 Targa (993) are separated by a title page. "911 Targa (993)" appears at the top of each page after in the title page (divider). In addition, the page numbering starts with 200. Technical data / Air conditioner . The Service Information gives a detailed description of the technical features of the new 911 Carrera. When fitting the refrigerant lines, apply some refrigerant oil to the bolt unions and the O-rings. Dispose of the refrigerant oil as hazardous waste. The ballast resistor is fitted with a restart lockout device. This restart lockout may be bypassed if the 1 st stage of the rear blower should fail (2nd stage of rear blower operates continuously). 1. Take out ballast resistor. 2. 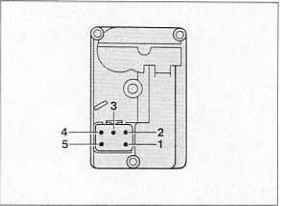 Press down spring plate with a needle or a similar tool. This causes the contact tongue to snap back into its initial position. 3. Replace the ballast resistor if the contacts are burnt. 1. Remove intercooler. Pull vacuum hose and connector off the switchover valve. Undo fastening screws from fresh air housing and take out fresh air housing. 3. 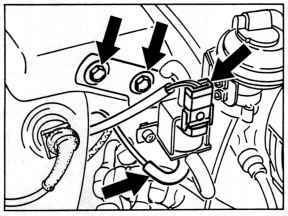 Pull rear heater blower out of support in rearward direction and take out blower. 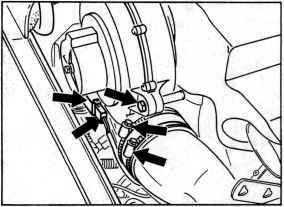 Check for correct seating of hose connections and hose clamps on heater air elbow. 1. 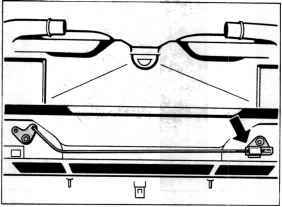 Set motor to "Footwell flaps closed" end position: apply a voltage of 12 volts to pin 4 (negative) and pin 5 (positive) using two jumper leads until the motor is positioned in the end position. The drive lever now points towards the fresh air inlet. The temperature mixing vales are located below the instrument panel in the driver and passenger footwells. 1. Set engine to "temperature mixing valves closed" end position: Use two jump leads to apply 12 volts to pin 4 (positive) and pin 5 (negative) until the motor is in the end position. 2. If the temperature mixing valve is not closed, undo the motor mount. Slide the motor in the slots until the temperature mixing valve is set in the closed end position. How to remove alpine 7807? How remove alpine radio from porsche 968? How to repair a porsche 993 radio?